If you would like a colour that isnt listed then choose 'Other' on the drop down menu and put a note at the checkout of the colour you are looking for. 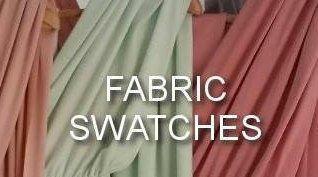 Swatches will be sent within 1-3 business days to the address registered on your Etsy account. Buyers responsibility is to make sure it's correct. Swatches are a Final Sale.